Share light and beauty with them all, in many different ways. Winter Candle by Jeron Ashford & illustrated by Stacey Schuett presents a beautiful message that transcends the holiday season. 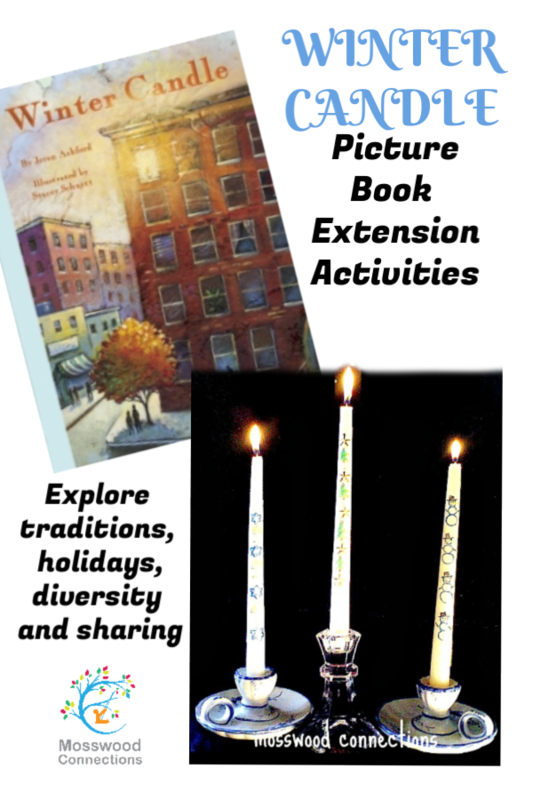 Winter Candle is a touching book that explores traditions, holidays, diversity and sharing. One candle makes a journey through the neighbor’s homes sharing light and beauty with them all, in many different ways. Winter Candle is a book that families will want to read together again and again. Write or draw about the last holiday that you celebrated. Write or draw about your favorite holiday. Why is it your favorite holiday? Write or draw about your family’s traditions. Write or draw about a time when you felt different. How did it feel? Write or draw about a time when you shared with someone. Tell how it felt for you and the other person. Write or draw about a time when someone shared with you. Tell how it felt for you and the other person. Write or draw about something that is beautiful to you. Why is it beautiful? Make a sharing circle: Gather random items and put them in the middle of the circle. Have each child take turns choosing one item and sharing it with someone else. Each child gets one turn to give and one turn to receive. Discuss with the children about how they made their sharing choices, how did it feel to give? To receive? Make your own Santa Lucia Crowns. 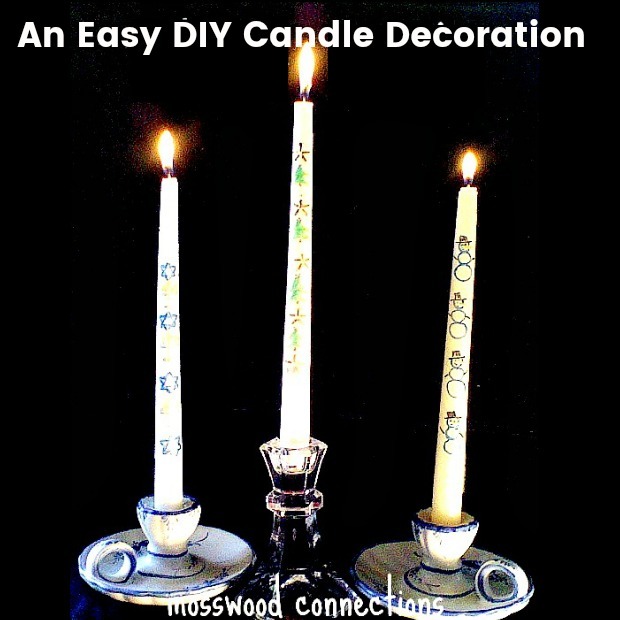 Decorate your own candles: Better yet, decorate a slightly used candle and make it beautiful again. Have the kids bring in their favorite family recipes. Make a classroom cookbook to share with each other. Take recycled materials (things that are ugly) and ask the kids to see if they can make something beautiful with the materials. We made Fabric Bowls and Puzzle Pins. Havdalah is a Jewish ceremony to say goodbye to the Sabbath. Families light a special candle that has more than one wick so it burns extra-brightly. Havdalah begins when there are three stars in the sky. It ends when the lit candle is dipped in wine and goes out with a sizzle. During Hanukah, Havdalah is observed before lighting the menorah. Santa Lucia Day, December 13, is celebrated by Scandinavians in Europe and America. It honors Santa Lucia, who delivered food to poor wearing a crown of candles on her head to light the way. Today, families choose a daughter to be Santa Lucia and carry a delicious breakfast to share with friends. Kwanzaa is a weeklong celebration at the end of December that honors African culture. African-American families gather to light candles in a kinara, a special candle holder. The candles represent unity, determination, responsibility, cooperation, purpose, creativity, and faith. Visit your library for more information on these and other holidays.